By: Zhenya Tsybulenko posted on November 14, 2018 in Graphics, Premium . 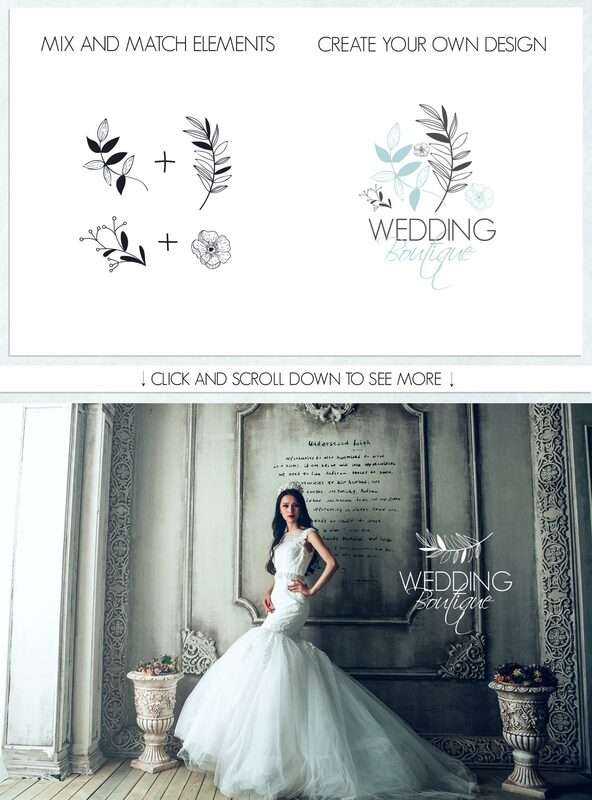 Do you suffer from the lack of high-quality premade hand-drawn elements and patterns which you can use in your graphic and web design projects? Don’t worry! Now you don’t have to waste your time on hand drawing multiple elements and patterns from scratch.We have got you covered! 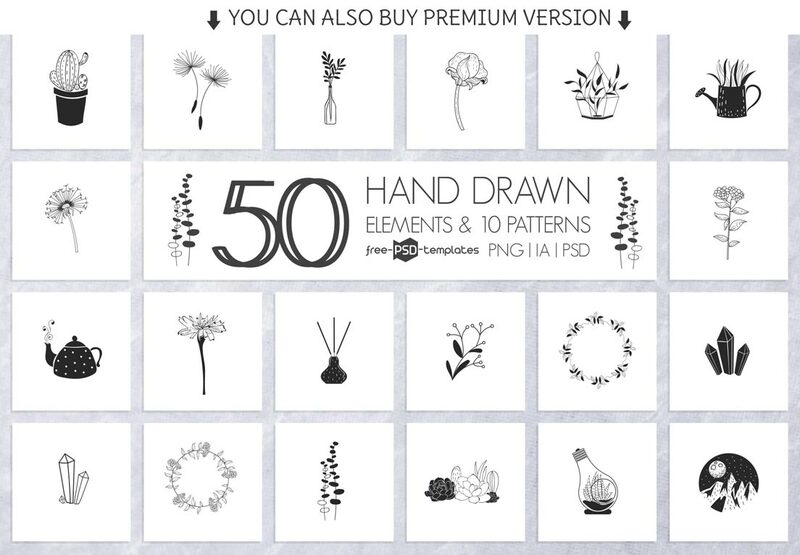 Download this Free Hand Drawn Elements and Patterns + Premium Version. Just have a look at these 50 elements and 10 patterns, aren’t they beautiful? 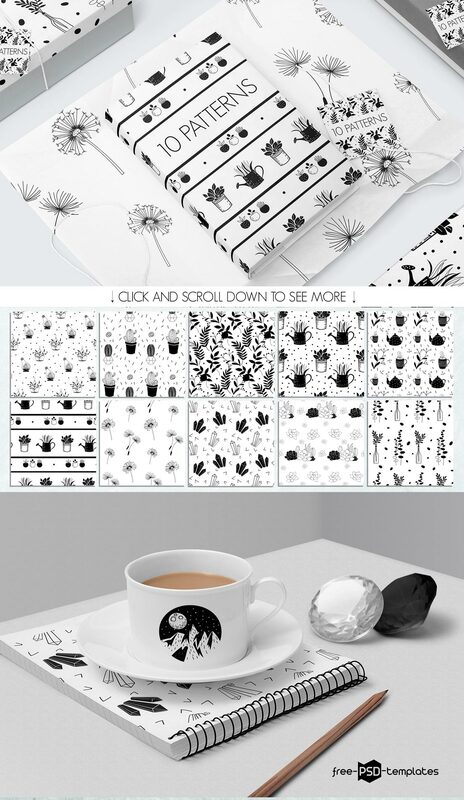 use these black-and-white hand-drawn art pieces for enhancing your current or future graphic design projects, be it a book cover design, a wedding invitation or a greeting card, flyer design, logo design etc. Use Adobe Photoshop & Adobe Illustrator to make all the customizations: Get Illustrator as part of a Creative Cloud single-app plan for just US$19.99/mo . 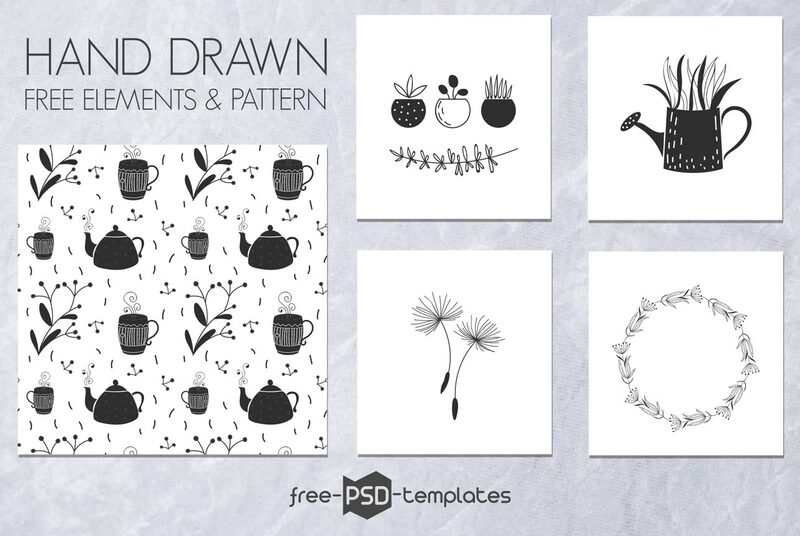 These Free Hand Drawn Elements and Patterns + Premium Version can be good for implementing a lot of designers ideas as well. Download Free Version of AI + PSD of Free Christmas Vector Bundle + Premium Version for your professional ideas and business goals. Enjoy this Freebie! Get Premium Version of AI + PSD of Free Boho Vector Collection + Premium Version for your professional ideas and business goals. Enjoy this Bundle!